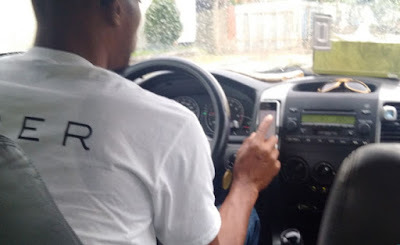 A Naija man deported from South Africa has been sentenced to 9 months in jail for allegedly defrauding an Uber Taxi driver, Adeboye Mayowa of N30,000. Valentine Thomas was on Friday imprisoned by an Igbosere Magistrate Court in Lagos. He was given the option of returning the N30,000 and spending 9 months in prison or stay a whole year in prison. 28-year-old Thomas of no fixed address reportedly committed the offence on the 30th of November 2016 in Surulere Lagos around 1:17pm. It is easier for the government to jail this guy because he is no nobody and he never belongs to any cult sect. Saraki bribe his way back to Senate seat. Nigeria is a Country where we have two laws in place, one for poor and the other for the rich. If you cannot pay a taxi, then trek to where you are going. A n ÜBER driver, like every other taxi driver is struggling life trying to earn a living, so nobody should be making “acting big man” at his expense; what is not right is not right. This guy would not try such in SA….and expect to walk free…..or maybe he did hence his deportation.